Attending Dreamforce can earn you a lot of extra credit in many fields, and as you plan your agenda for the convention, you always try to book as many sessions as possible — forgetting a major aspect of this event. 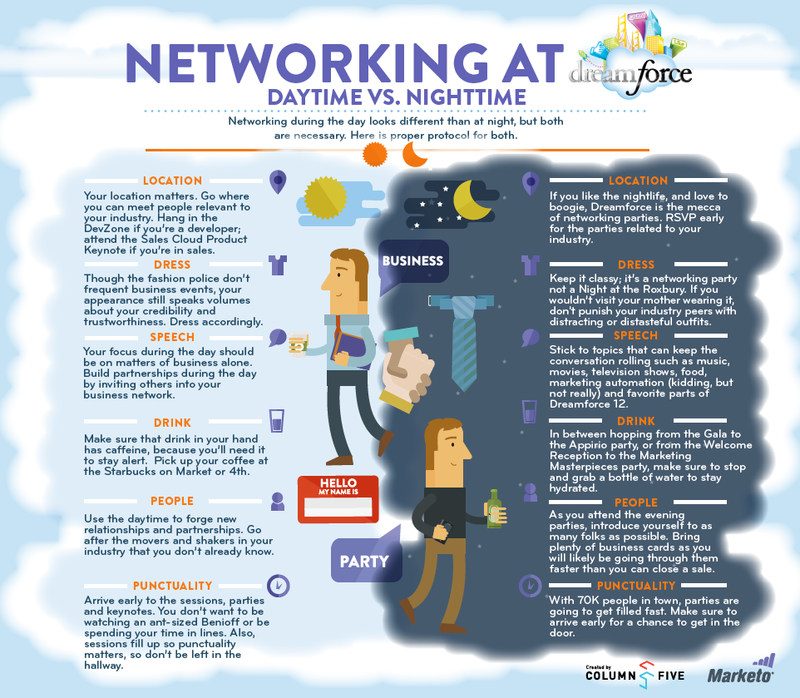 Networking, if done properly, can sometimes be much more beneficial than just pumping yourself with dry knowledge and technical details: in a way it’s part of the essence of Salesforce: Making connections for mutual benefit. When planning your agenda, try to give yourself a little extra breathing space. Use that time to mingle, network and present yourself and your company. This great little infographic explains exactly how to do it!